Even when ‘beaten’….. | Precious Thoughts! 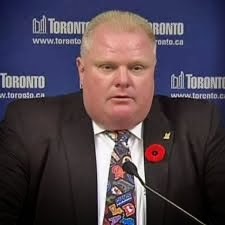 Earlier this week/late last week, the news broke out about Rob Ford, the Mayor of Toronto, that he had used crack cocaine, and he had admitted to the allegations as well. This week, his council stripped him of most of his powers, transferred the powers to his deputy. Wait! this is the most interesting part, Rob Ford gave a speech, where he apologised and stated that he was not going to step down as being the Mayor of Toronto, that he loves his job……Wow! When I watched him make that speech I was amazed […this man has(more than) guts….]. I am not deliberating on the substance abuse part of the story, it’s the ‘standing his ground’ part I choose to dwell on. You’ll expect that for a Mayor to have committed such an act, he should be ready to give up his seat and powers; [I can hear some people say “a whole mayor” “nawa o”] but he has chosen to do what he loves despite his flaws, the reaction of his council and the public as well; because I’m pretty convinced that there are people out there who are disappointed and do not think he is fit to be the Mayor, but he still chooses to STAND….I do not know how his political career is going to turn out in the future, but one thing I know is that: even in the midst of all these challenges, he fought [and is still fighting]….I have no idea whatever it may be that you may struggling with, be motivated to fight and move on. Whatever happens let it be that you made an effort to STAND….I can only hope that everything turns out well for Mayor Rob Ford in the end! 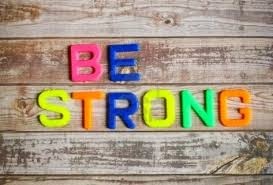 As for you: Be strong! There’s so much treasure in you, that your flaws cannot tarnish…. Even when beaten, still stand! I don't know what he was thinking but good luck to him,it's inspiring kinda…nice blog by the way precious,keep it going. Thank you! No one knows either, we can only hope for the best to come out of the situation, and lessons learnt as well.